"I hear you can talk to fish." With DC’s Jason Momoa-fronted Aquaman movie due in cinemas next month, it should come as no surprise that Daybreak Games’ free-to-play MMO DC Universe Online has received new content based on Atlantis, the home of Aquaman and Mera. The battle for the throne of Atlantis continues in DC Universe Online’s most exciting episode yet – Atlantis! It is dark times for this once beautiful undersea paradise as Corum Rath looks to take the throne. You’ll need to do everything you can to assist the underground resistance in Atlantis for there to be any chance to save the kingdom. 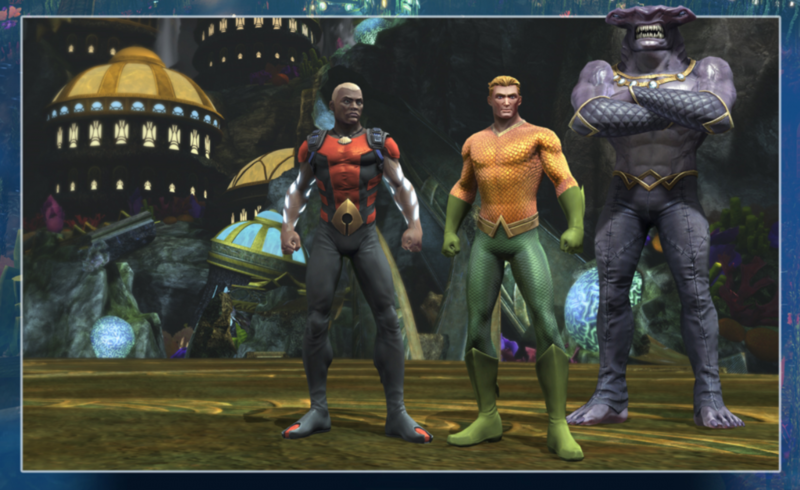 Featuring a tonne of new content, including a new Solo mission, Alert and open world missions (featuring Mera, Aqualad and King Shark), plus new raids, gear and artifacts, the Atlantis episode looks to offer quite a large amount of content for Members. For a limited time, all players level 10 or above can access special event versions of the Atlantis content. DC Universe Online’s Atlantis episode is available now on PC, Xbox One and PlayStation 4.